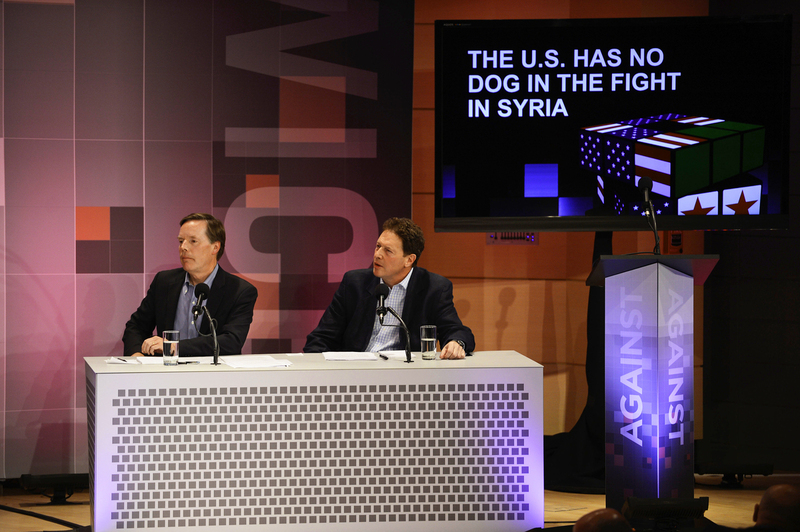 Debate: Does The U.S. Have A Dog In The Fight In Syria? So far, the Obama administration has been reluctant to intervene in a major way in the Syrian civil war. Is there a clear course of action the U.S. could take to help the Syrian people that would lead to a better outcome? John Donvan moderates an Intelligence Squared U.S. debate on Syria at the Aspen Institute in Aspen, Colo. Those debating are: (from left) Graham Allison, Richard Falkenrath, Nicholas Burns and Nigel Sheinwald. While some American lawmakers have urged increased involvement by the United States in the Syrian civil war, so far the Obama administration has been reluctant to intervene in a major way. The question has taken on a new sense of urgency following an attack last week near the Syrian capital Damascus that left hundreds dead. The Syrian opposition says it was a chemical weapons attack by the Syrian government, a charge the government denies. The Obama administration is now weighing possible responses. Is there a clear course of action the U.S. could take to help the Syrian people that would lead to a better outcome for the country? Or is greater U.S. involvement likely to do little good in the end? 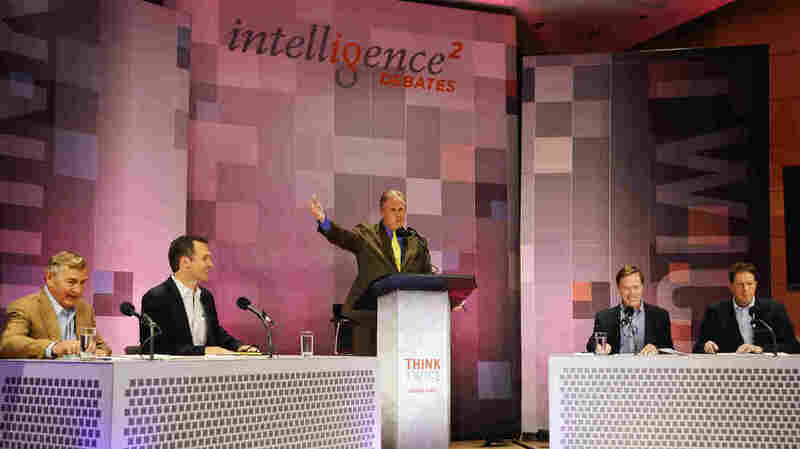 A group of experts took on the Syria question Aug. 9 in an Oxford-style debate for Intelligence Squared U.S., in partnership with the Aspen Strategy Group. They argued two against two on the motion: "The U.S. Has No Dog In The Fight In Syria." Before the debate, the audience at the Aspen Institute in Colorado voted 40 percent in favor of the motion and 28 percent against, with 32 percent undecided. 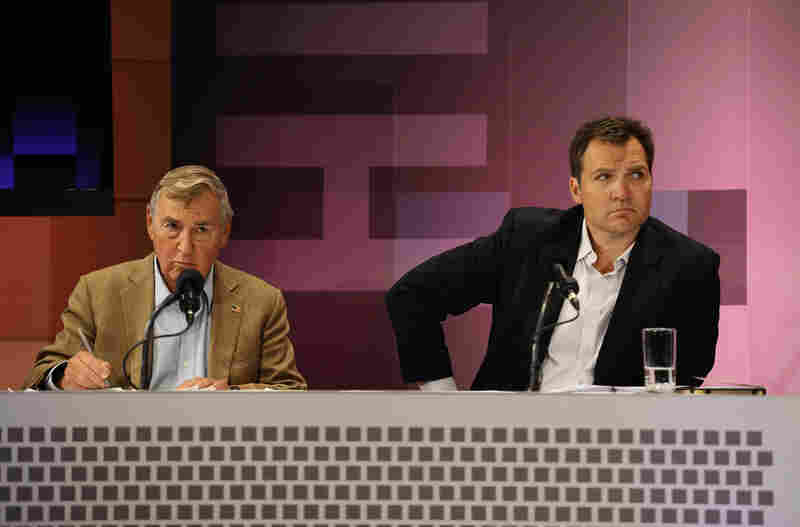 After the experts faced off, those watching voted 61 percent in support of the idea that the "U.S. has no dog in the fight in Syria," while 33 percent were against — making the team arguing for the motion the winners. Graham Allison and Richard Falkenrath argue the U.S. has "no dog in the fight" in Syria in an Intelligence Squared U.S. debate. Richard Falkenrath, who served as deputy assistant to President Bush and deputy homeland security adviser, has held a range of leadership positions in U.S. counterterrorism efforts. The principal author of the National Strategy for Homeland Security, he served as senior director of policy and plans within the Office of Homeland Security after Sept. 11, 2001. From 2006 to 2010, he served as the New York City Police Department's deputy commissioner for counterterrorism, working to strengthen the city's overall effort to prevent, prepare for and respond to terrorist attacks. Falkenrath is now a principal at The Chertoff Group, a global security and risk-management advisory firm; an adjunct senior fellow for counterterrorism and homeland security at the Council on Foreign Relations; and a contributing editor at Bloomberg News. Graham Allison is director of the Belfer Center for Science and International Affairs and Douglas Dillon professor of government at the Harvard Kennedy School of Government, where he served as the founding dean from 1977 to 1989. Allison served as special adviser to the secretary of defense under President Reagan and as assistant secretary of defense for policy and plans under President Clinton, coordinating Defense Department strategy and policy toward Russia, Ukraine and the other states of the former Soviet Union. He has the sole distinction of having twice been awarded the Defense Department's highest civilian award, the Distinguished Public Service Medal. He has written five books, including Essence of Decision: Explaining the Cuban Missile Crisis (1971). Nicholas Burns and Nigel Sheinwald argue against the motion "The U.S. Has No Dog In The Fight In Syria." Nicholas Burns, a career foreign service officer, is professor of the practice of diplomacy and international politics at the Harvard Kennedy School of Government. He is faculty chair of the school's Middle East Initiative, India & South Asia Program, and is the director of the Future of Diplomacy Project. After 27 years in the U.S. Foreign Service, he retired in April 2008 as undersecretary of state for political affairs, the third-ranking official in the State Department. Prior to that, he was ambassador to NATO (2001-05), ambassador to Greece (1997-2001), State Department spokesman (1995-97), and he worked on the National Security Council staff (1990-97). Currently, Burns is director of the Aspen Strategy Group and a senior counselor at the Cohen Group. He also writes a biweekly foreign affairs column for the Boston Globe and is a senior foreign affairs columnist for GlobalPost. Nigel Sheinwald was British ambassador to the United States for five years (2007-12). Previously, he served as foreign policy and defense adviser to Prime Minister Tony Blair and head of the Cabinet Office's Defence and Overseas Secretariat (2003-07); as U.K. ambassador and permanent representative to the European Union (2000-03); and as Europe director in the Foreign Office (1998-2000). He also served in Moscow and as Foreign Office press secretary. In March 2012, Sheinwald retired from the Diplomatic Service and is currently a nonexecutive director at Shell, a senior adviser to the Universal Music Group and a visiting professor in the Department of War Studies at King's College, London.